What is Kodi...and What VPNs Support It? Kodi is free, open-source, home theater software that turns any computer, smartphone or tablet into a digital set-top box or streamer. Kodi acts as a playable media library that not only stores and plays media files, but also intuitively organizes information on its own. That is, when you add movies you own, Kodi will download additional information from the web on movie posters, movie synopses, actors, tags, and more. Unlike TV streamers—Apple TV, Chromecast, Plex and Amazon Fire TV Stick—Kodi isn't held back by licensing or a curated app store. That allows you to download a range of community-made apps or add-ons (XBMC Foundation isn't connected with the sale of Kodi boxes), a majority of which are designed to stream media from the web. Using Kodi is legal and it is fine to have it on any of your devices, because it's designed to host your own media collection. However, Kodi's open-source nature means it's possible to download a range of third party add-ons, and that’s where problems may arise. Some of the software's most popular extensions contain and distribute copyrighted material—and worse, possibly even malware. It is your responsibility as a Kodi user to comply with all applicable laws in your country, with regards to streaming and sharing digital content. If an add-on offers a TV show, sporting event or film for free, and you know that you'd usually have to pay in order to watch it, you're on shaky ground. If you wanted to stay on the right side of the law, you probably shouldn't use that add-on. Do you need to use a VPN with Kodi? It’s not necessary, but for a variety of reasons it is advised to use a Virtual Private Network with Kodi. Using a VPN for Kodi goes beyond simply avoiding detection when using illegal add-ons; there are other problems it may help you avoid. For instance: Kodi isn't anonymous, it is remotely hackable, and add-ons can be riddled with security flaws and pirated streams termed illegal in many countries. Not to mention that Internet Service Providers might block access to specific streams, which can lead to Kodi errors or entirely blocked-and-throttled streaming. For all those reasons, Kodi users are advised to use VPNs to keep online activities safe, anonymous and secure from ISPs and/or other malicious parties. Almost everybody wants online services for free, and the same goes with VPNs. As always, it's worth mentioning that using free VPNs typically offer restricted experience – limited bandwidth, more ads and any personal data you submit may be sold. 1) TunnelBear. TunnelBear is the first name that comes to mind when it comes to free VPN for Kodi. It's a good option for audio streaming or downloading podcasts; but sadly, the 500MB daily cap for free their free VPN use makes it useless for video streaming. However, this is one of the free VPNs for Kodi that allows you to access its servers worldwide, employs a no-logging policy and an access the kill switch to shut down the VPN connection in one click. 2) CyberGhost VPN. CyberGhost gives you a great experience, even with their free Kodi VPN. Unlike TunnelBear, there is no data usage limit, but there is a 3-hour/session restriction...which is still better than getting only 500MB daily. You get different modes where you can select Surf Anonymously, Unblock Streaming (to access blocked Kodi add-ons in your region) and Torrent Anonymously. The downside is that CyberGhost is a Europe-centric VPN and there are no servers in Asia & Latin America in the free plan. 3) ProtonVPN. ProtonVPN is a good option for direct streaming services like YouTube; but add-ons relying on P2P (peer-to-peer) networks are not supported and will not work. Ultimately, you're not likely to get the best experience using a free VPN with Kodi, and you may have to update to a paid plan if you want to use Kodi and access other restricted content, without any legal infringements. And because are several Xbmc VPN services to choose from, you'll need to test and review the best Kodi VPN that works for you and unblocks your favorite add-ons. You can also check different VPN comparisons here. However, if you're looking for a standalone streaming service for accessing content with little or no fuss, you'll have to look elsewhere. 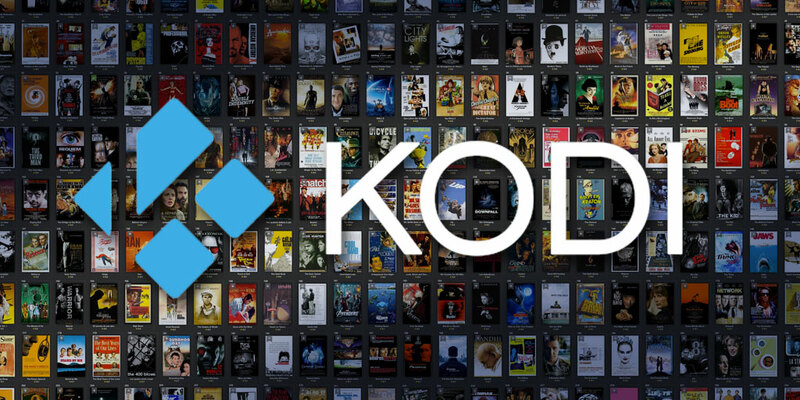 And despite Kodi's growing popularity, lawmakers, legal content providers and retailers like Amazon, eBay and Apple have blocked native Kodi apps and the sale of similar devices due to concerns over its use of third party plug-ins. So, proceed while being well aware what's out there. What should I use a VPN?